I was excited to try my sample of Curve CBD Full-Spectrum oil, and after using the product regularly for three weeks, I came to some very interesting conclusions! I began my regular dosing of the oil on January 13th, and with only a couple of exceptions, used it each day in the morning as instructed. I didn’t change my exercise regimen during this time period, as I regularly practiced yoga and jogged in the mornings on a set schedule. The oil is taken orally each morning, by holding it under your tongue for 15 to 20 seconds, and then swallowed for full effect. As a general rule, I am a anxious person. Like many of us, I tend to worry about things that are beyond my control, and have trouble shutting down my mind at the end of the day, which leads to insomnia or poor quality of sleep. Although I generally stay away from caffeine in large amounts, the anxiety makes me feel uneasy and jittery most working days, and I only feel relief on the weekends when I don’t have the usual triggers weighing on me. After taking the CBD oil regularly for the last 3 weeks, I’ve discovered that there is a absolutely a pronounced difference in the way I feel. The jitteriness has melted away, and I’ve felt at ease for the entire day. My sleep is no longer disrupted, and I have been sleeping for a full 6 to 7 hours each night (which is about normal for me). has felt much more in check since starting ingesting the product. Not only did my workouts benefit, but my days at work have become much more productive and manageable since starting the oil. Situations that normally would challenge me and cause feelings of panic and anxiety seemed to come and go with ease, with much less mental strain. I have felt calm, and had the ability to slow down and think these situations through without letting them become toxic to my well-being. Even interactions with a certain coworker that normally ended in extreme anxiety didn’t bother me, and I was able to get out the words I needed to say to diffuse the situation and just let it go afterwards. Lastly, the CBD oil had a significant positive impact on my anxiety induced by traveling, specifically flying on a plane. I suffer from fairly serious anxiety when on an airplane, especially during stressful moments such as takeoff and landings. While this is an issue that won’t dissipate completely, the oil definitely had a positive and welcome impact and lessened the amount of anxiety I was feeling when flying recently. Overall, I’m pleasantly surprised at the difference Curve CBD oil has made in my daily life overthe last few weeks, and look forward to continuing use. I hope more people can have the opportunity to try the product like I did, and enjoy the benefits it can bring. Guest post by Dana Gilbreath, Wild Ginger Apothecary customer & neighbor! 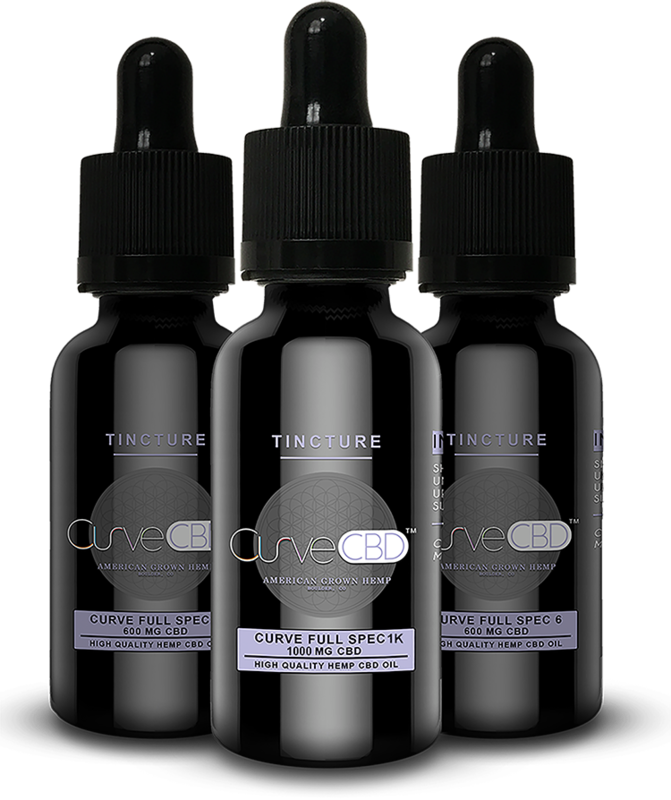 Curve CBD Full-Spectrum CBD Oil and other hemp-derived CBD products are in-stock now at Wild Ginger Apothecary. Visit us at 6557 Superior Avenue in the Gulf Gate Shopping Village. Feel free to email or call anytime at 941.312.5630.